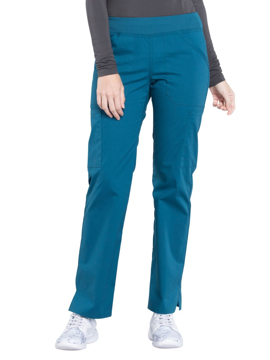 The traditional baggy pant features full elastic and drawstring for comfort. 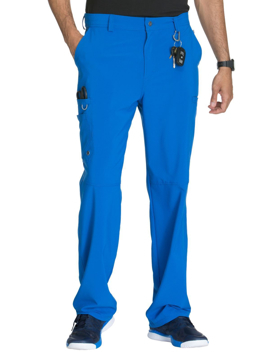 Two front pockets and one back pocket. 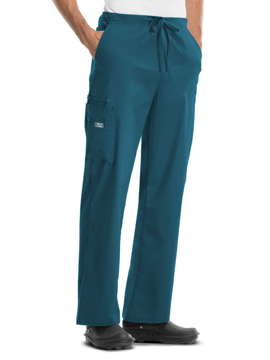 Double needle top stitching added to reinforce seams. 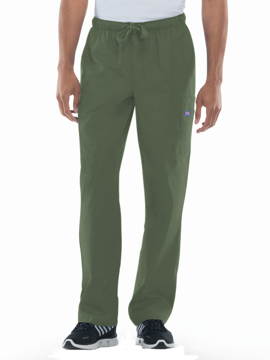 Regular inseam: 32". 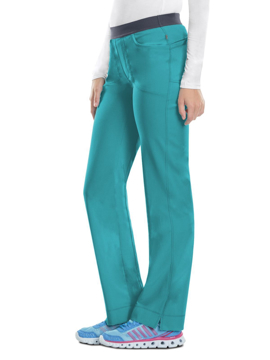 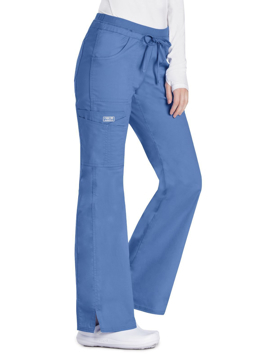 A contemporary fit mid rise pull-on pant featuring a mesh-elastic waistband with drawstring, front slash pockets, center zipper back pocket, and bungee at leg opening. 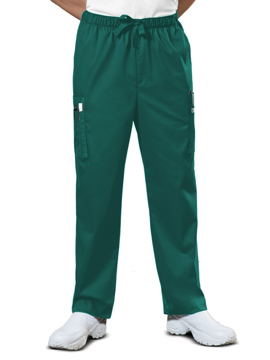 Regular inseam: 30½". 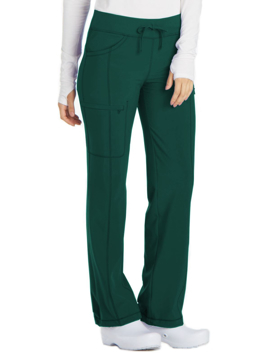 Petite inseam: 28". 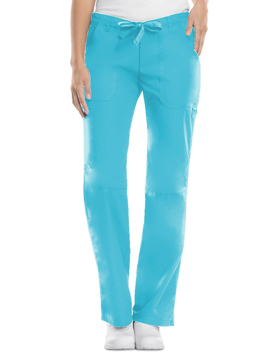 Tall inseam: 33½". 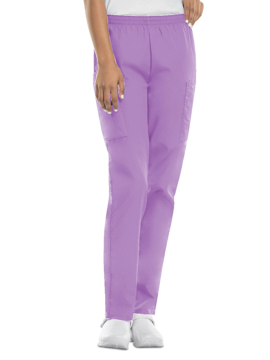 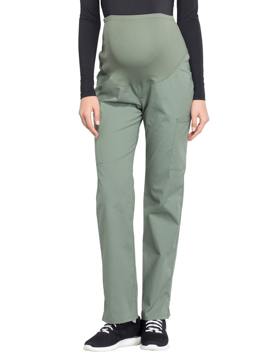 A contemporary fit, low-rise, straight leg pant features an adjustable drawstring with an all-around elastic waistband and Dickies logo twill tape on the inside back waistband. 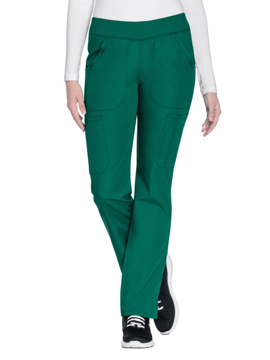 Also featured are patch pockets with a utility loop, cargo pockets, a scissor pocket, multiple pencil slots, a back pocket, front knee seams and double-needle topstitching throughout. 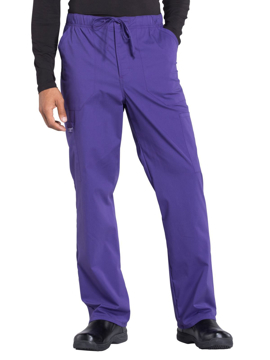 Regular inseam: 30½". 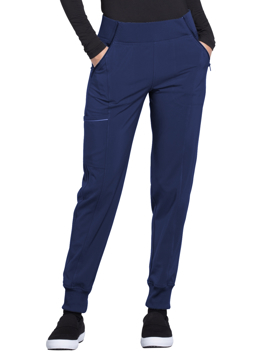 Petite inseam: 28". 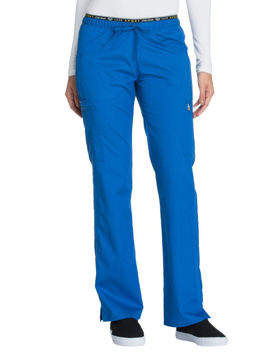 Tall inseam: 33½".